Patrick Jones: “No Pasaran” was at the PS45 Gallery, Exeter, 10 March – 9 April 2017. The exhibition “No Pasaran” represents a life-long artistic journey by Patrick Jones, a journey which illustrates how he and his work have been affected by artistic influences from America and Europe. The exhibition does not trace a series of anxious and political events like in some of Jones’ heroes such as Miro. 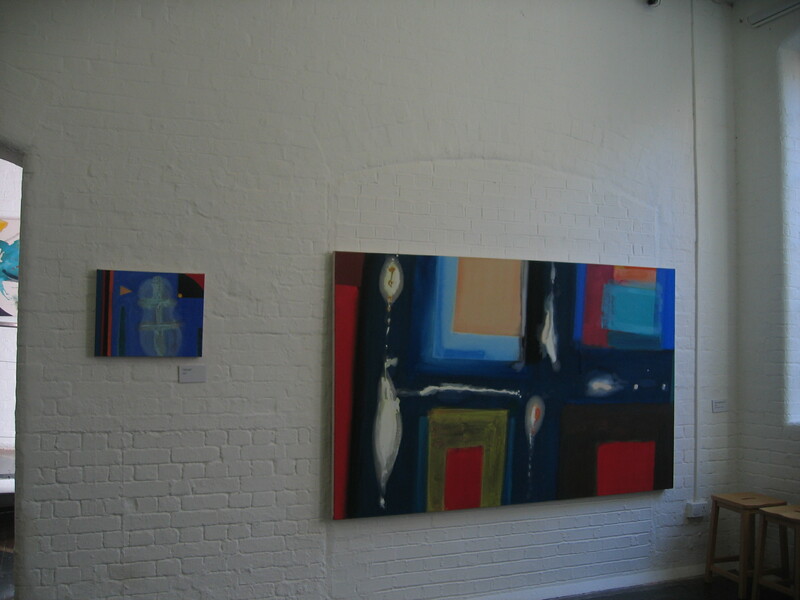 Jones ‘work is a passionate response to the Art and artists he has experienced during the last 50 years. As the title of the exhibition suggests Jones is not unaffected by being alive in one of the most turbulent periods in European and Middle Eastern history and the precarious state of the world today. The paintings in this exhibition tell the story of Jones’ life and the artistic elements that have engrained themselves in his psyche. 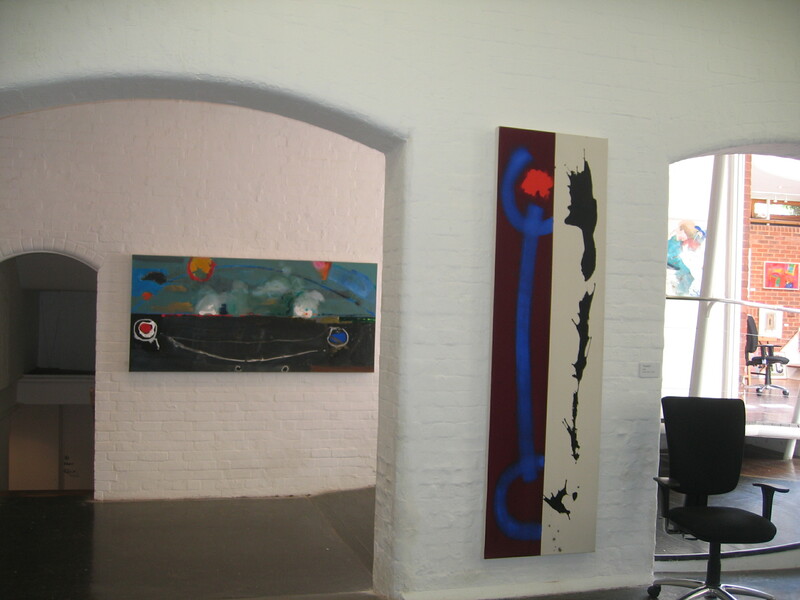 Patrick Jones’ exhibition at the PS45 gallery, (formerly known to many of us as one of the most prestigious contemporary arty galleries in the south west – Spacex,) is located in Preston Street, Exeter. 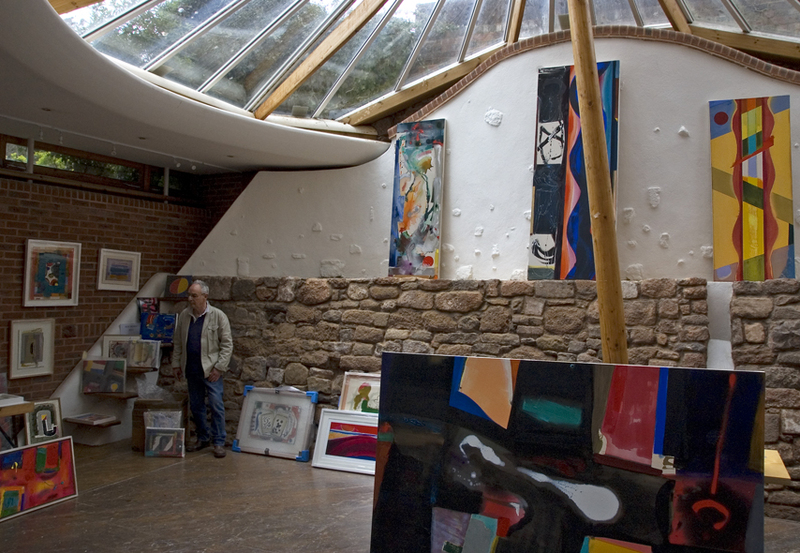 Its re-birth this year is a wonderful tribute to abstract painting and a superb opportunity for Patrick Jones to demonstrate his and the gallery’s commitment to abstraction. 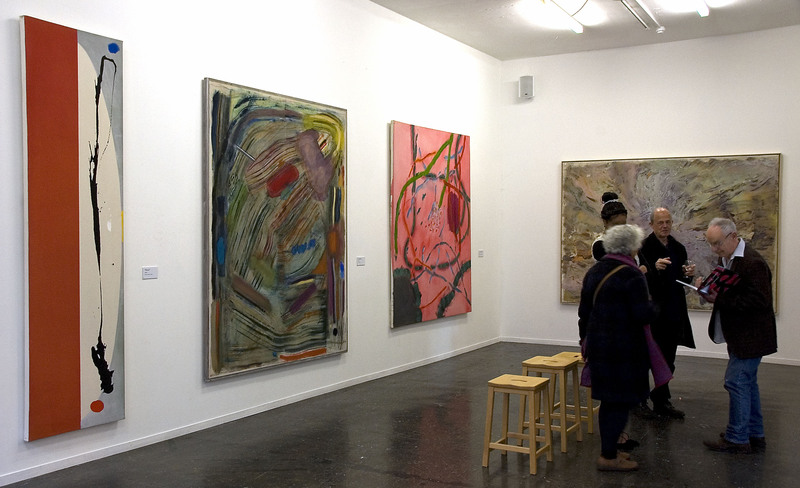 The exhibition, in three large galleries, is captivating and compelling; each space providing a particular focus for Jones’ work and affording us a rare and unique insight into the breadth and depth of his work. 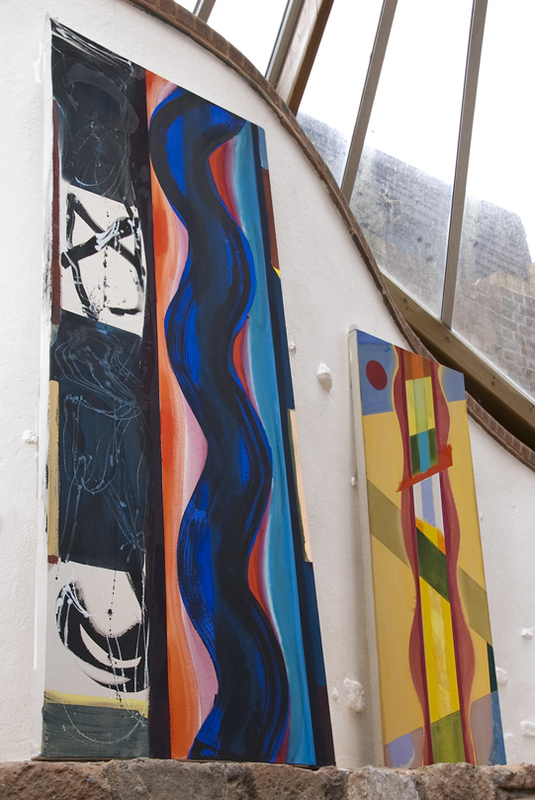 Gallery 1 contains paintings which work as a mini retrospective including many large scale paintings which emanate from the 70s and 80s. Although almost 40 years old, they look just as fresh today as the day they were painted. 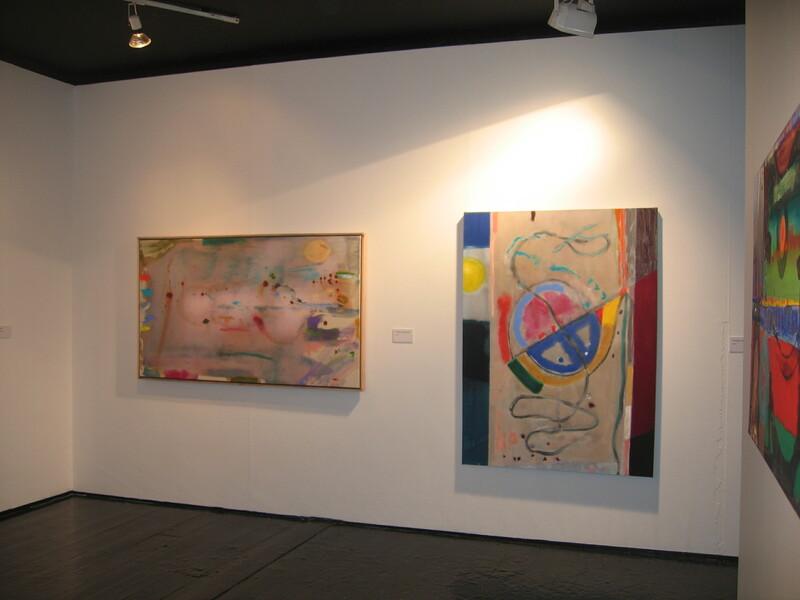 Pink Cherries, 1976 and Burst 1982 were very successful paintings in the abstract art exhibitions of the time – exhibitions now of ‘legend’ such as the Hayward Annual in 1974 the Serpentine in ‘79 and the ICA in ‘81. These paintings combine thick and thin paint to create fields of luminescence which give way to misty compositions dominated by large areas of colour. 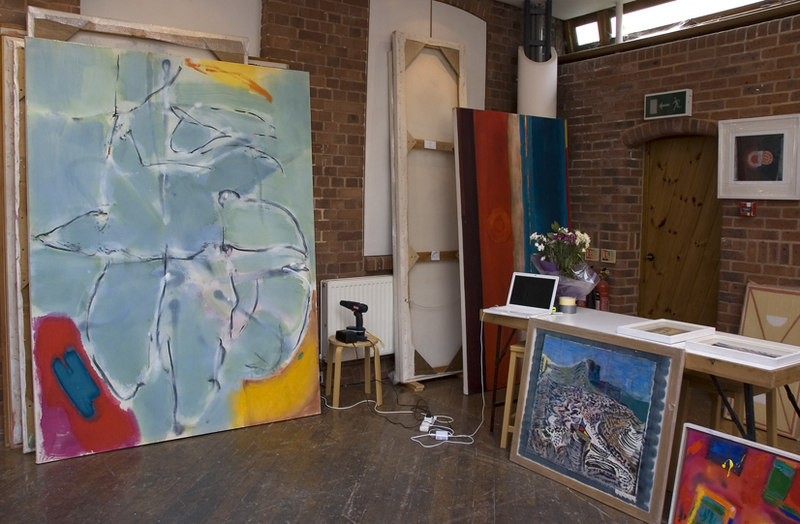 Form emerges or bursts onto the canvas naturally and organically with carefully controlled gesture. Jones jettisoned illusionism of any kind many years ago, choosing to search for the spiritual, and using organic and geometric forms to inform his ideas – his quest has been a lifelong existential confrontation with the canvas in his search for the sublime. These boldly painted canvases employing the soak and stain technique, found in many examples of Abstract Expressionism, and championed by Helen Frankenthaler, reflect Jones’ love affair with the process and language of colour and the process of making paintings. 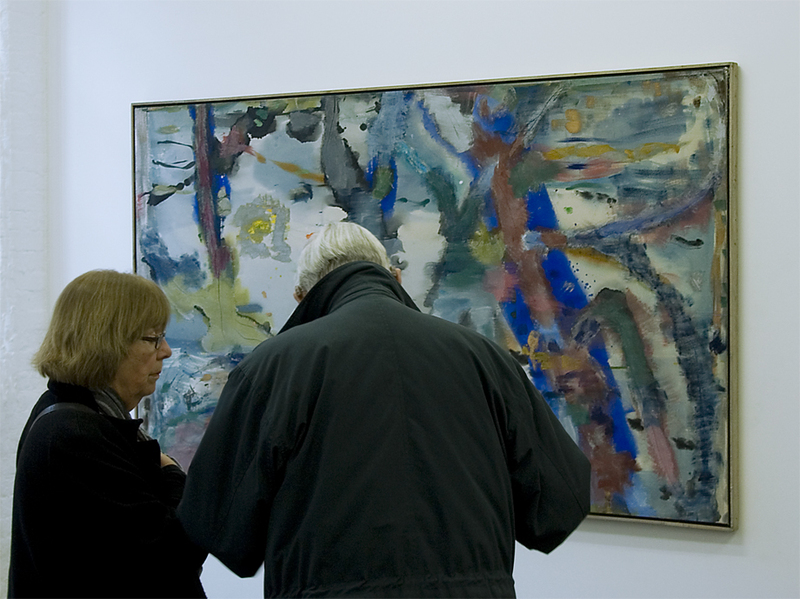 Jones was fortunate enough to work with, and be mentored by, Helen Frankenthaler during his years painting in New York in the 1970s and during this time he developed his own distinctive style. Jones’ work can be perplexing – the first six paintings in the exhibition contain such a diversity, stylistically, that it is hard to believe it is one man’s work. However, they reflect a period of almost 40 years of work, which for any artist would reveal a vast range of approaches and experiments they have explored – it could be argued these first paintings reveal Jones’ self confessed ‘scatter gun’ approach to art. 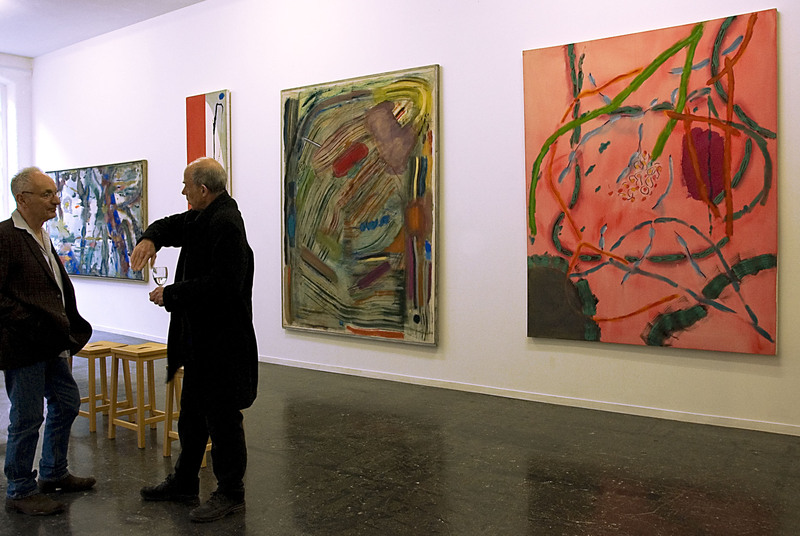 But, only when all Jones’ work in this exhibition has been seen does the over-riding steadying influence from his main influences of Miro and Frankenthaler come to the fore and show how these two artists (along with Matisse) have undoubtedly shaped Jones’ attitude and approach to making art. 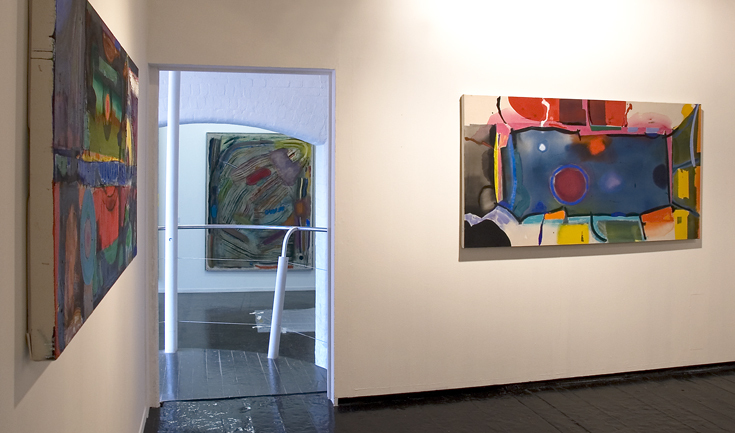 In contrast with Jones’ earlier organic ethereal style of work we find in galleries two and three several much more robust paintings which expose his later interests in expressive geometry and densely painted surfaces, mixing ‘lost and found’ edges, painting ‘wet into wet’ and employing ‘hard edge’ painting. The diversity to be found in Jones’ work is a hallmark of his style – an empirical approach to art rather than ‘playing it safe’. Jones has enjoyed a rich and diverse stylistic journey in his work and in his arrival at this most recent of destinations provides us with more questions than answers about his work and the direction it may take in the future. It is nevertheless a continuing evolution of his psyche. 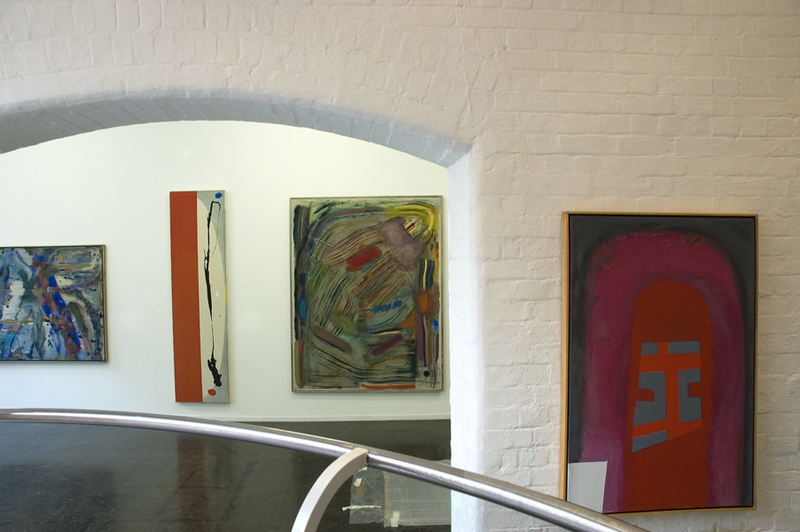 Jones stands amongst those twentieth century giants of British abstract art such as John Hoyland, Bert Irvin, John McLean and Terry Frost, to name but a few, and whose influence is noticeable in works such as No Pasaran and Duality. Showing block-like shapes compressed onto a dense field of paint which grab the attention, they compel you to scrutinise the painting further. Jones’ recent paintings seem to have moved away from the subtlety and nuance of earlier work. Drawing and gesture, poeticism and lyricism seem to be subjugated to new demands made by solid geometric form and shape; the luminescence of the grounds/fields in earlier work give way to heavier spatial contexts and forms. Jones’ established use of floating symbolic shapes and gestures are replaced by dense heavy geometry as in Syria 2015. Despite bold colour still being evident, as in Flat Screen 2012-13, there are also other paintings where large menacing areas of black provide compositional structure to the painting as in Trinity, 2007. Jones’ heavy use of black brings a darkness, quite literally, to the work – possibly reflecting Jones’ despondency at the state of the world today? Is he finally, like Miro before him, finding his art reflecting the struggle and turbulence in the world today? Whatever the answers are to these questions it remains evident that Jones has never really lost sight of his first loves in painting – the work of Frankenthaler and Miro – something which is wholly apparent, overall, in this body of work. “A really good picture looks as if it’s happened at once. It’s an immediate image. For my own work, when a picture looks laboured and overworked, and you can read in it —well, she did this and then she did that, and then she did that—there is something in it that has not got to do with beautiful art to me. And I usually throw these out, though I think very often it takes ten of those over-laboured efforts to produce one really beautiful wrist motion that is synchronized with your head and heart, and you have it, and therefore it looks as if it were born in a minute”. ….. “What concerns me when I work is not whether the picture is a landscape or whether it’s pastoral, or whether somebody will see a sunset in it. What concerns me is – did I make a beautiful picture?” Helen Frankenthaler. Patrick Jones has indeed made some ‘”beautiful” pictures, has he not? As Jones possibly ponders on the state of the world, let us ponder on what he will do next in his hope for a brave new world! Hippocrates’ aphorism: Ars longa, vita brevis. really good full review by len green, it is great to see patrick jones getting the recognition he deserves. Yes! I’ve been wondering just who this crazy guy Patrick Jones is ever since I stumbled on Abstractcritical. Now I have a much better idea. Wish I could see the show. Congrats, Patrick!!! 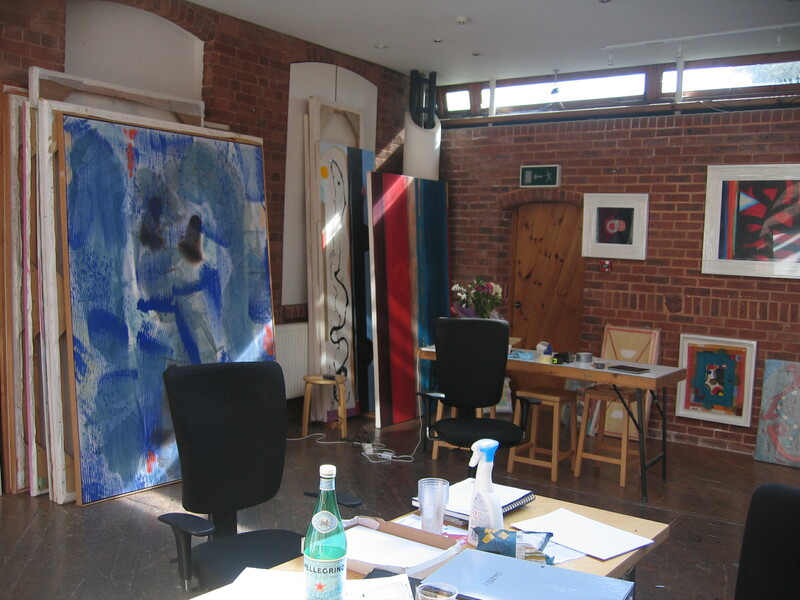 It was good to see Patrick looking fit and well and to see his wide range of approaches to abstract painting. I am particularly drawn to the less geometric works which have an ‘organic’ flow, for want of a better word, and a luminosity which is compelling and pulls you into the space. Thank you very much for publishing this review.It may not be a great idea to do too many mini -retrospectives,as hindsight is a fine thing,and its often the urge of the moment that counts.My seeing Ken Loachs Spanish Civil war drama ,Land and Freedom late night at the Ritzy in Brixton,while subletting a stockwell studio,gave rise to the NO PASARAN series,which exceeds 30 large works to date.In view of Brexit,Trump and Le Pen in France .I had some high hopes of using my show as a rallying point for Pro-European ,anti -fascist ,socialist feeling in the South West.Instead my many visitors expressed very varied and questioning responses to Abstraction ,which was fascinating in its own way.They were well informed and regular visitors to shows in London and I was generally impressed by their perceptions. just an amazing exhibition, by a wonderful painter and person. all the best from los angeles! Wonderful to see so much interesting and wonderful work reviewed and appreciated. Patrick is always an inspiration.